Ralph is currently serving, along with Sharon Dunas, as co-president of NAMI Westside Los Angeles. He has been an active member of NAMI Westside Los Angeles since 2007, and he became a Family-to-Family teacher in 2008. In this capacity, he helps hundreds of family members to better understand, cope with, and support loved ones afflicted with mental illness. He has mentored new Family-to-Family teachers while leading a number of family support groups. 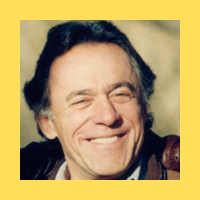 Ralph became a Smithsonian Laureate in 2000, for his work with at-risk children. We are proud to have him as our current co-president. 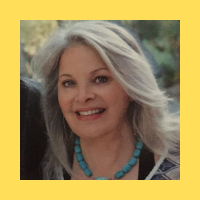 Sharon has unselfishly provided leadership and exceptional services to the community via NAMI WLA for more than twenty years, having taught various NAMI courses to hundreds of members of the community, as well as teaching new teachers. She took the lead in reorganizing NAMI WLA in 2007, recruiting seven people to serve on the initial Board as well as a dozen or more to fill subsequent vacancies. Sharon has also recruited two speakers every month for ten years of our Speaker Series. In addition to chairing the Board of Directors from 2007 to 2013, Sharon served as President of the affiliate from its reorganization until 2013, and also served for several years as our representative to the Los Angeles County Coordinating Council of NAMI (LACC), and served as its President for three years. Sharon has been the top “Team Captain” fundraiser for the annual NAMI Los Angeles County Walk for many years. She is again serving as co-president this year, along with Ralph Fagen. Shelley is the Manager of NAMIWalks Los Angeles County, the signature fundraiser and anti-stigma campaign for the 12 local affiliates of the National Alliance on Mental Illness in the County. 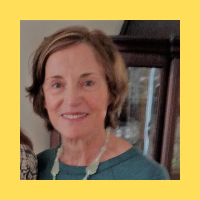 She came to NAMI in 2001 and soon became a Family-to-Family Teacher, Support Group Facilitator, Provider Education Course for Clinicians Teacher, State Trainer of Teachers for the Provider Education Course, and Coordinator of many Provider Education Courses held throughout the county. In addition to working full time as NAMIWalk Manager, she runs a Parent Support Group for Daniel’s Place, a program of Step Up On Second. Shelley previously served on the NAMI Westside Los Angeles Board of Directors starting in 2005, as Treasurer and then Secretary. Dorit is dedicated to helping raise money for NAMI and awareness about mental illness. A happily married wife and mother of four children, Dorit immigrated to the U.S. at the age of 14. She graduated from UCLA with a Bachelor of Science in Civil Engineering and proceeded to get her Masters in Structural Engineering from Stanford University. Dorit has established our NAMI Westside Instagram profile and is responsible for the account’s maintenance and daily updates. In a very short period of time, our NAMI Instagram profile surpassed 20,000 followers. Adaline Fagen has been involved with NAMI Westside Los Angeles since 2007. Adaline is chair of the Fundraising Committee, which is responsible for our annual Gala fundraising event. 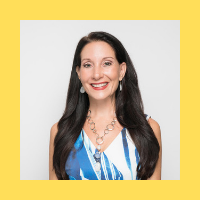 She and her husband Ralph are Family-to-Family teachers, and she is committed to growing the membership of the affiliate and effecting major change in her community’s attitude toward brain illness. She has taken the pledge to fight stigma. She performs well as our fundraising chair; she has raised hundreds of thousands of dollars over the years, and she has worked diligently to create our annual Gala fundraising event. To see the results she provides, see the Gala Fundraising video from our spring 2018 Moroccan Bazar gala. Cynthia is the NAMI Westside Los Angeles Secretary. 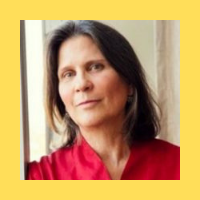 She has been a psychoanalyst and psychotherapist for individuals, couples, and families since 1991, with a private practice in Santa Monica, California. 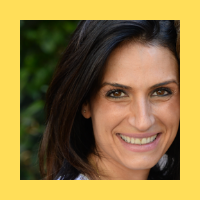 Since 2007, she has also provided intensive psychological treatment and case management, for people diagnosed with trauma and severe, persistent mental illness, at the residential psychiatric facility Bridges to Recovery. NAMI became an essential support for her and her family when her son became ill in 2010, and later during his recovery. Cynthia welcomes the opportunity to give back to NAMI and provide her expertise in whatever capacity she can. 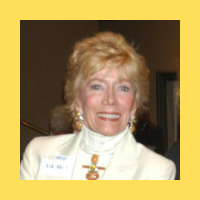 Mitzi Wright has been a member of NAMI Westside Los Angeles for more than 15 years and was one of the seven individuals who completely reorganized and revitalized the NAMI Westside Los Angeles affiliate in 2007. Mitzi previously served as a member of NAMI WLA Board for six years, and served as a Walk Captain for 11 years. Her team has always been one of the top fundraisers for LA County. Mitzi represented Westside Los Angeles on the NAMIWalk committee for four years, and organized Kick-off Luncheons with other team captains. Mitzi completed training to be a support group facilitator, and has served as a facilitator for five years. She also served on a committee that organized a Luncheon and Fashion Show in 2013 that raised more than $20,000. Frances is Vice President of NAMI Westside Los Angeles, assisting Sharon and Ralph with the executive duties of our Board of Directors. She has been a NAMI member for more than 15 years. As a former Board member of NAMI California for six years, she served as Vice President, Treasurer, and on the legislative committee. 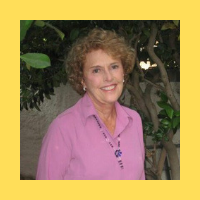 Frances is a retired attorney, who has been active in local environmental causes. She brings a high level of executive expertise, and we are grateful to have her experience on our growing board of directors and NAMI Family. 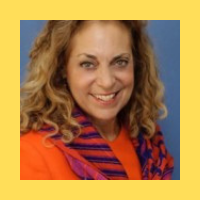 Janis Black Warner is a Director of The Stanley & Joyce Black Family Foundation and has a long history of involvement nonprofits, including NAMI Westside Los Angeles. She has served on Vista’s Board of Directors for 11 years, and was recently nominated to the position of Board Secretary. She was awarded the prestigious Vista Del Mar Women of Excellence Visionary Award. Janis also held one of the first positions for a woman as President of the President’s Club and President of the Friends of Vista Del Mar. Her strength is fundraising, and she has served on many other nonprofit boards, including ORT, a VP of Technion, and The Cabinet for The Women’s Division of The Jewish Federation, The Beverly Hills Police Foundation, and is involved in Children’s Hospital Los Angeles and Miracle Babies/San Diego. For NAMI Westside Los Angeles, she has a speaker series named after her with a goal for helping to end the stigma. Janis studied business management at USC. In addition to her nonprofit work, she is currently an independent real estate investor who enjoys restoring old duplexes. She is married to Douglas Warner. They treasure their children, Jason & Liz Goldman, Jennifer Goldman, Joey Goldman & Jake Warner.